Ring of sterling silver 925/000. As the ring 16 tatum. Weight of the ring 5.70 grams. Made by Master Craftsmen with tradition of jewellers since 1910. 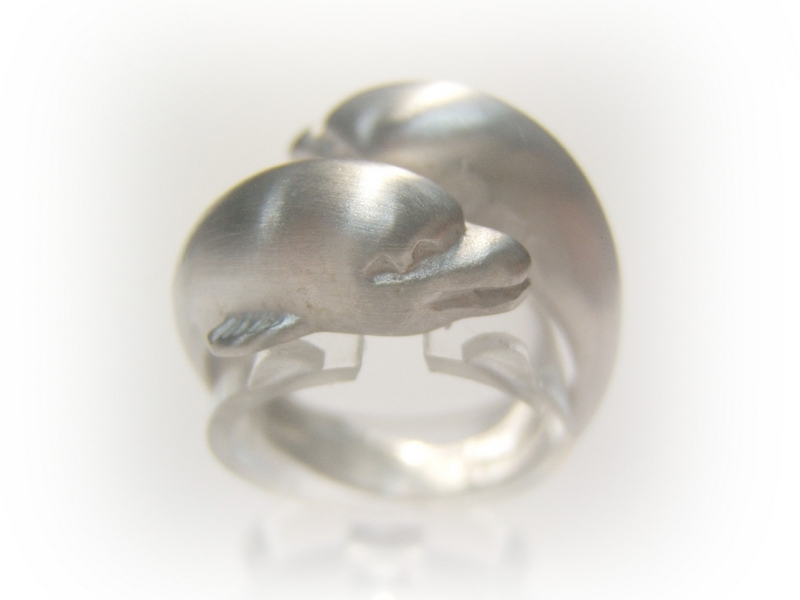 The dolphins interact with human beings since their existence is known,this ring is a tribute to dolphins, these majestic, aquatic animals that we all love.